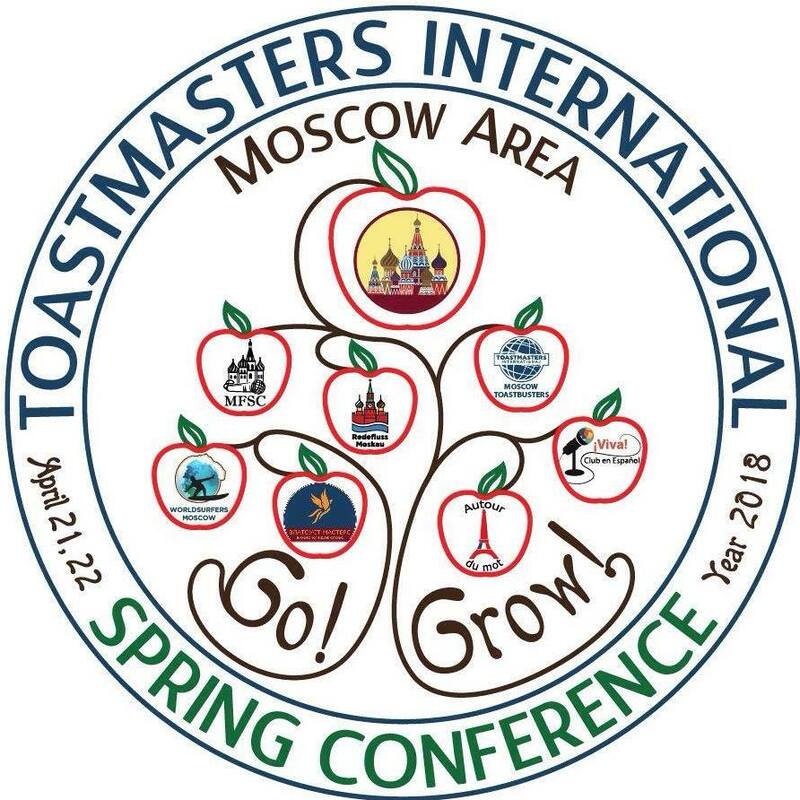 Hurry up to register to Moscow Area Spring Conference! This is the greatest event of Toastmasters community in this spring! You’ll have a chance to hear best speakers, participate in useful workshops, meet interesting people! ATTENTION!!! The entrance has been changed! Enter through the MAIN ENTRANCE, then turn to the left and follow the signs. Dear friends and honorable guests! The entrance into the building where our meetings take place has been changed, due to renovation. We are still meeting at the same room as usual, but this time around please enter through the main entrance (with columns), which is in the middle of the yard. We will let you know when it is changed back. Conference committee and volunteers WANTED! Fellow Toastmasters! 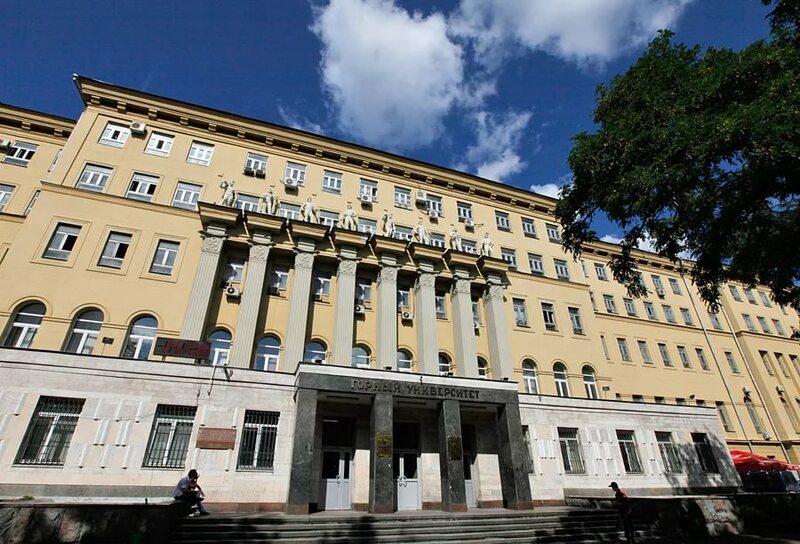 We are happy to announce the date for the annual Moscow International Spring Conference that will take place on April 21-22. The Head of the Conference Anna Kondrateva has already started the preparation and has been forming the perfect team to organize the great event. Here are results of FUNKY TALKS contest! We are especially proud of Dilara’s victory! Let her victory in improvisation talks contest prove or just remind you that fear doesn’t define neither your mastery, nor your abilities, nor your destiny. Do things which make you scare and you’ll open new horizons, new possibilities and new talents! Give the World that valuable contribution that you could give, if you did not go on about the fear! 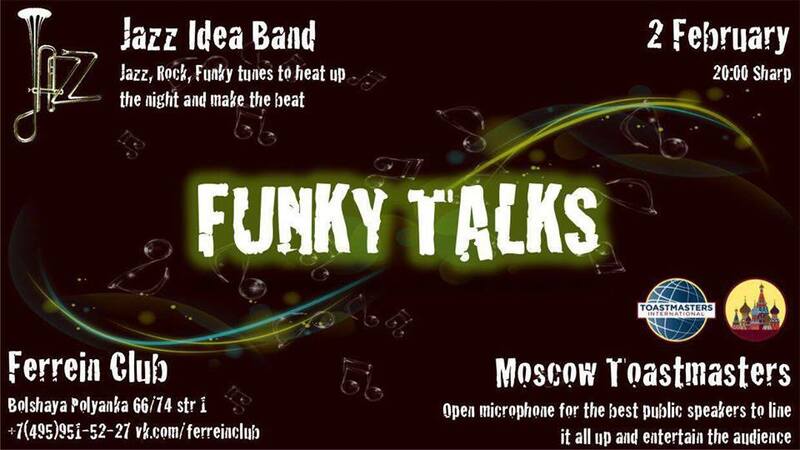 May us present you FUNKY TALKS! 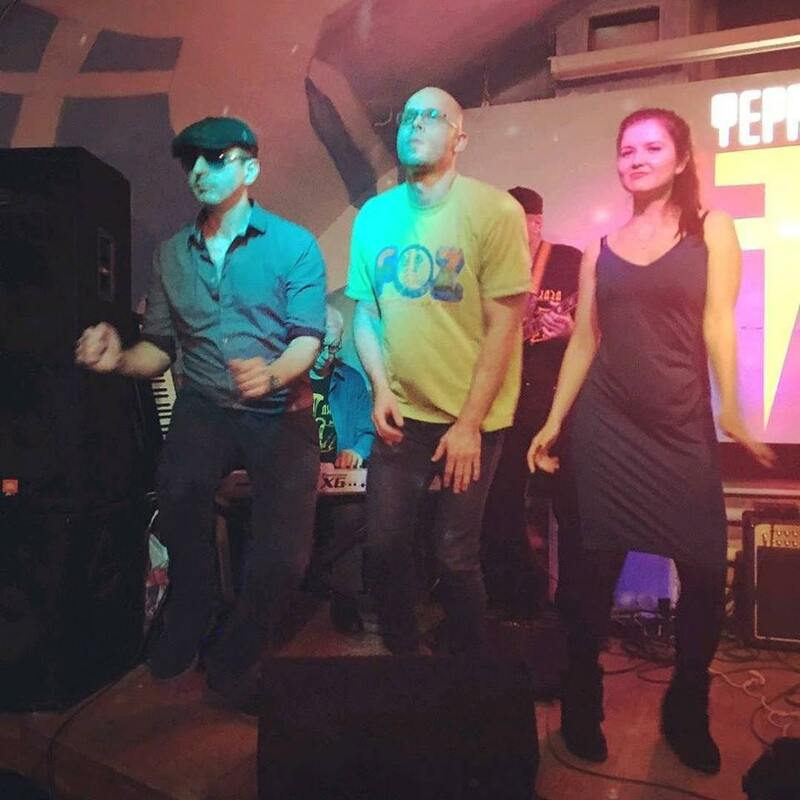 1) There will be plenty of music by Jazz Idea Band led by Mikhail Pokutny, CC, Toastmaster and President of Moscow Toastbusters club). WOW! 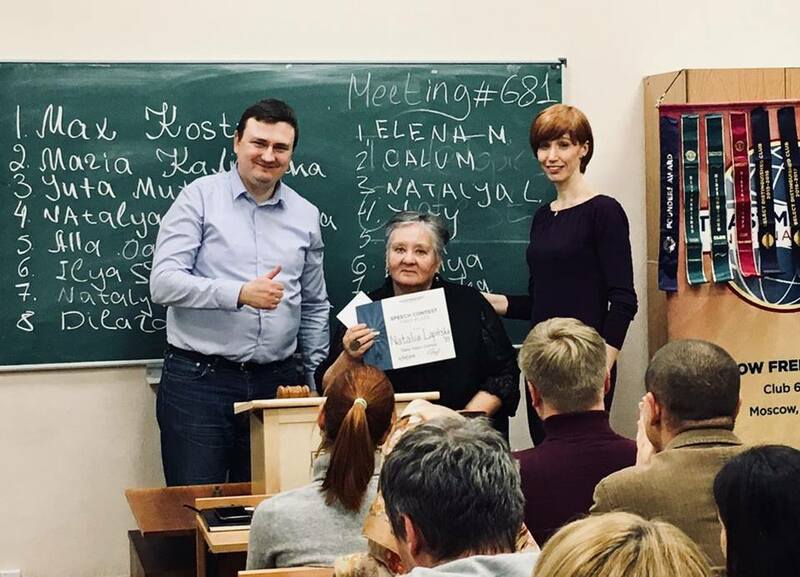 2) There will be plenty of public speaking: the best speakers from Moscow Toastmasters Community will compete for the best brief (up to 3 min) interview challenge, where they assume an identity of a well-known star in the music industry. 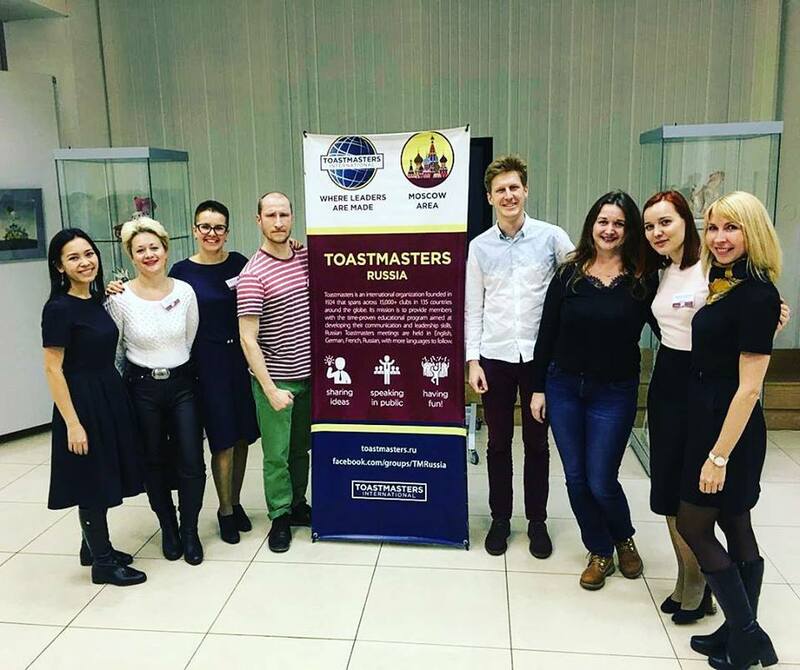 Welcome the splendid team: the Chief Judge of the Toastmasters’ section – Irina Suvorova and the Toastmaster of the evening – Kristina Sharykina! Wish you all the best in upcoming New 2018 Year! May all your dreams come true! See you on 11 January next time! 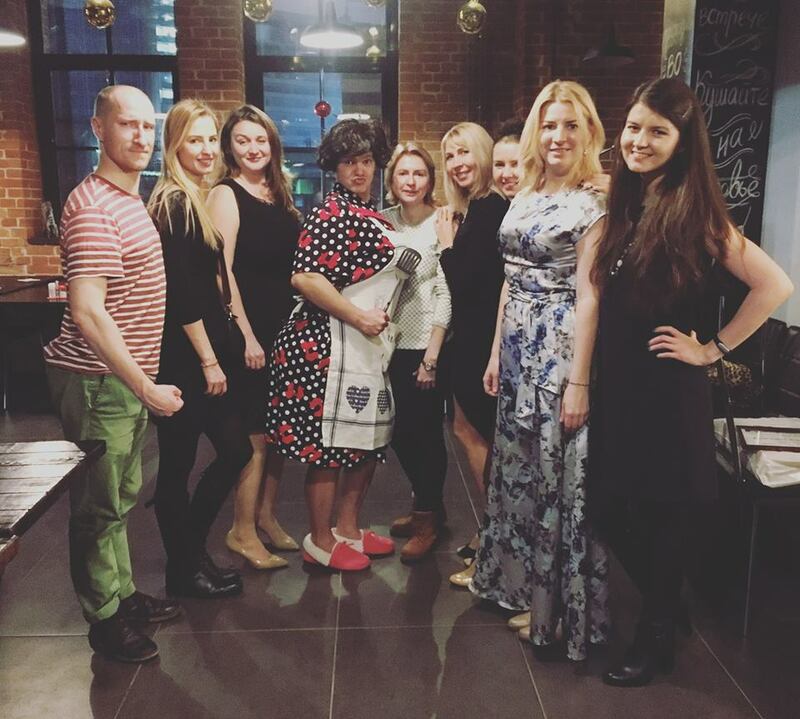 At New Year party the biggest achievements were recognized and we are happy to announce winners 2017! 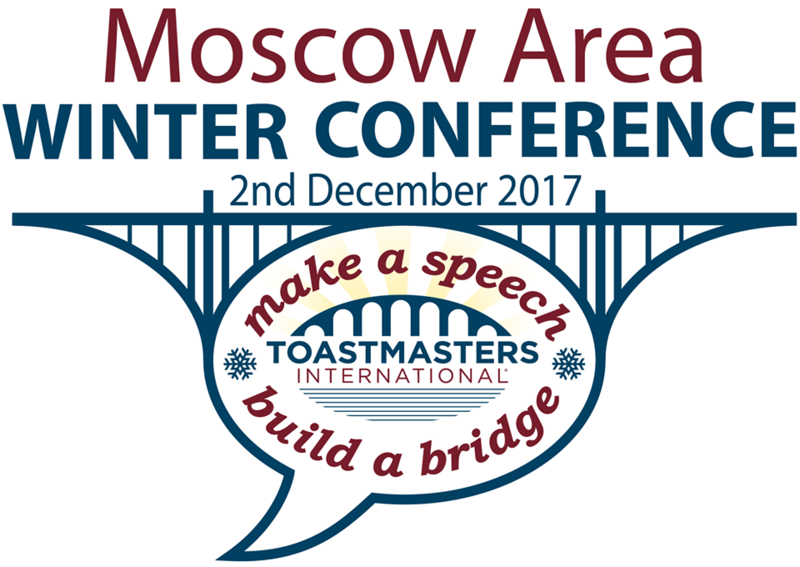 Moscow Area Winter Conference is an annual event when the members and guests of all Toastmasters clubs in Moscow come together to share experience, express themselves, communicate, and get to know each other better. By doing so, they build bridges between people. The THEME of the conference this time is BRIDGES. Suggested by Anna Kondrateva, CC from the Moscow Free Speakers club. “Each person is like an island. As we learn how to communicate more effectively, how to better express our thoughts, and how to listen more attentively, we build bridges between islands. Bridges can be different: firm and sound, makeshift and light, simple and ornate. Some bridges are really solid and durable. They take time and effort to build, but they are worth it! By making speeches we build bridges. 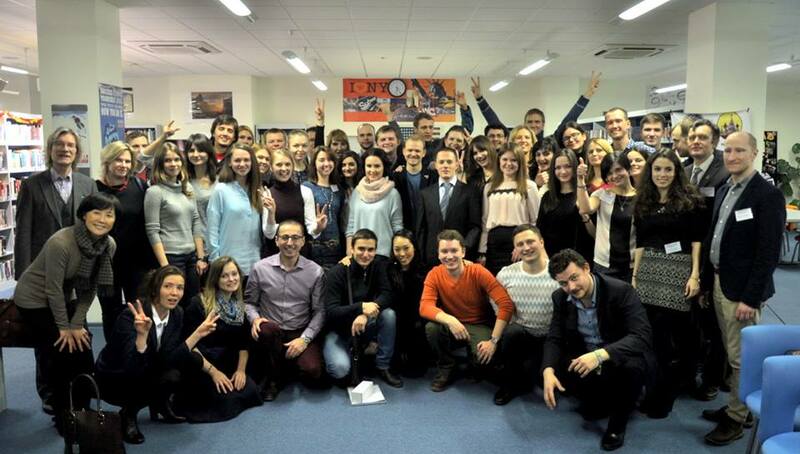 Best speakers, who have qualified in their own clubs, competed to become best of the best in the whole Moscow Area. Congratulations to all the winners! “УФХЦЧ Продвинутого Оратора” by Sergey Shchepilov. 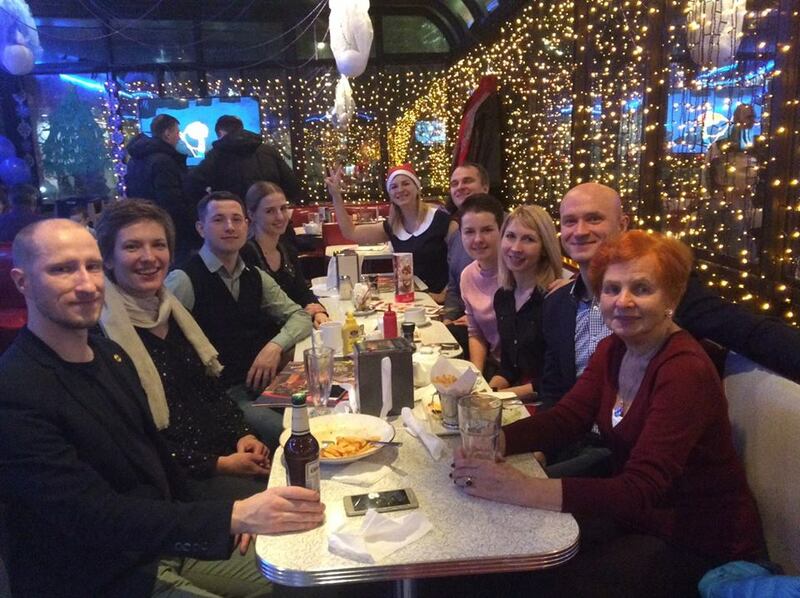 The members of our club actively participated, and some of them (Sergey Balmashov) helped with organization of the Toastmasters Winter Conference together with the other 5 TM clubs of Moscow and the Moscow Area committee (Zlatoust Masters, WorldSurfers etc.)! Well done everyone! Dear fellow Toastmasters and Guests! 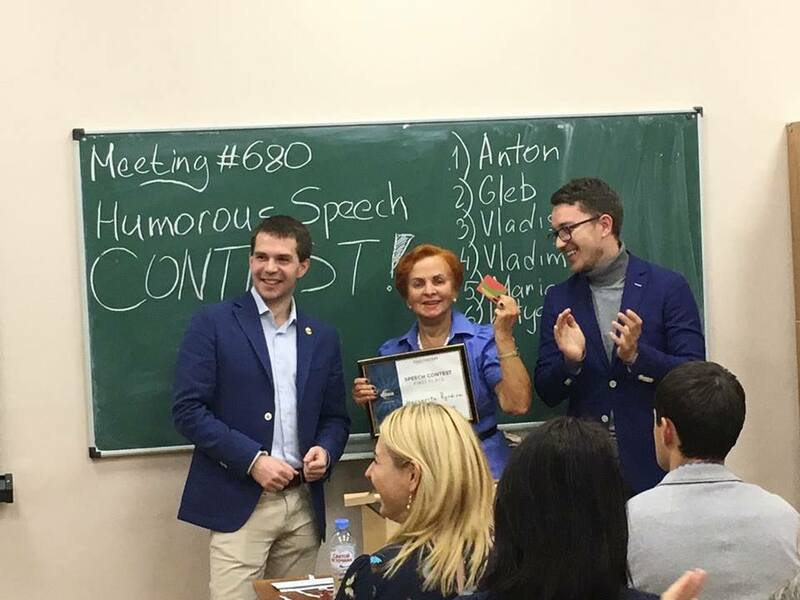 Let’s congratulate the winners of Humorous Speech (26.10.2017) and Table Topics (09.11.2017) Contests! 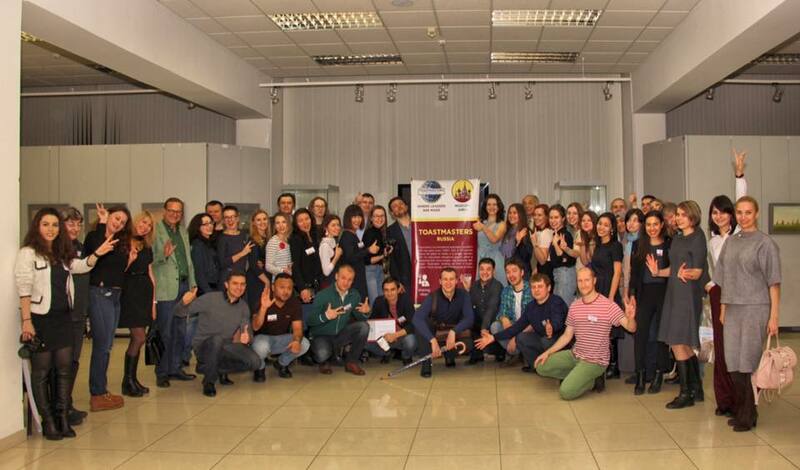 All the participants – well done! Dear friends, if you have never participated in a contest – we encourage you to try it next time and realize how fun it is! We are happy to announce that now we have got the official Theme and Logo of the conference! Anna Kondrateva, Moscow Free Speakers, has suggested the best theme and sketch for the logo, on the basis of which the original logo and motto were made. Many thanks and congratulations to her! Here is the theme in the initially suggested form. Each person is like an island. As we learn how to communicate more effectively, how to better express our thoughts, and how to listen more attentively, we build bridges between islands. Bridges can be different: firm and sound, makeshift and light, simple and ornate. Some bridges are really solid and durable. They take time and effort to build, but they are worth it! What kind of bridge will you build?